Vegetarians… this is not the place for you. This is for people feeling especially carnivorous; for those who crave juicy and flavorful kielbasa, tender pork loin, and short ribs covered in caramelized spices and savory fat. Although there is a buffet with rice, plantains, salads and other foods, Midwest Grill is known for its bountiful Brazilian BBQ. Bacon wrapped chicken? Why, hello there. Chicken hearts? Yeah sure, put a few of those on my plate. Succulent lamb meat? For the love of god, let’s get a stack of that going! For $12,95, you have access to the buffet and all the BBQ meat your mouth desires (dinner is $21.95). 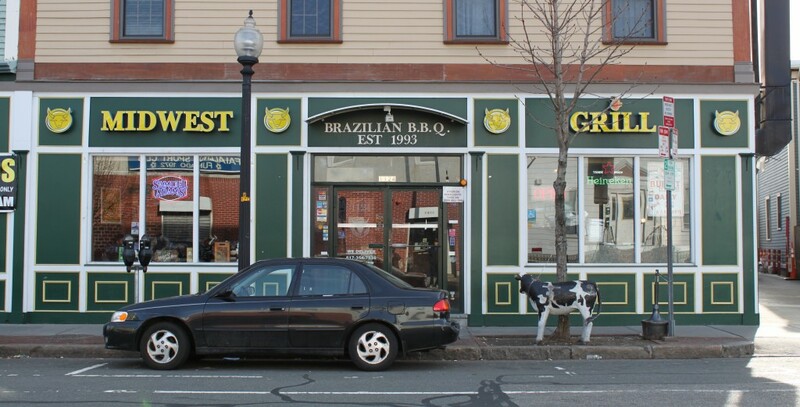 With locations in Inman Square of Cambridge and Saugus, it’s the perfect weekend lunch spot where you can roll out of bed with your sweats on (I probably get out of bed much later than you do), make yourself a small plate of Brazilian side dishes and put a mound of charred meat on top. 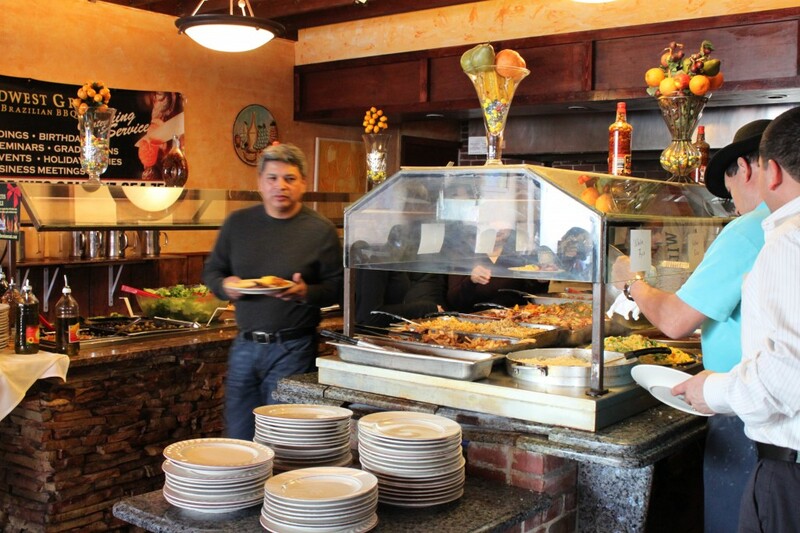 This is a casual establishment with no frills- just good food minus the annoying wait time. The waiters and waitresses will not be smiling every second or asking you how your meal was, but they come around often, refill drinks, and ask if you would like anything else. Also, their drink menu is very impressive. For $4.25 – $4.50, get draught and bottled beers. Red and white wines, cocktails from $6-$9 and a good list of whiskeys are happily there to contribute to your warm buzz as well. Heck, I know where I’m going Fridays and Saturdays! This place even has free wings if you purchase a beverage and sit at the bar. Suh-weet. I really have no complaints. Given the price and frequent service, I could care less whether my waitress was smiling or not. Just keep the skewer of meats coming and Midwest Grill and I will always be on great terms. 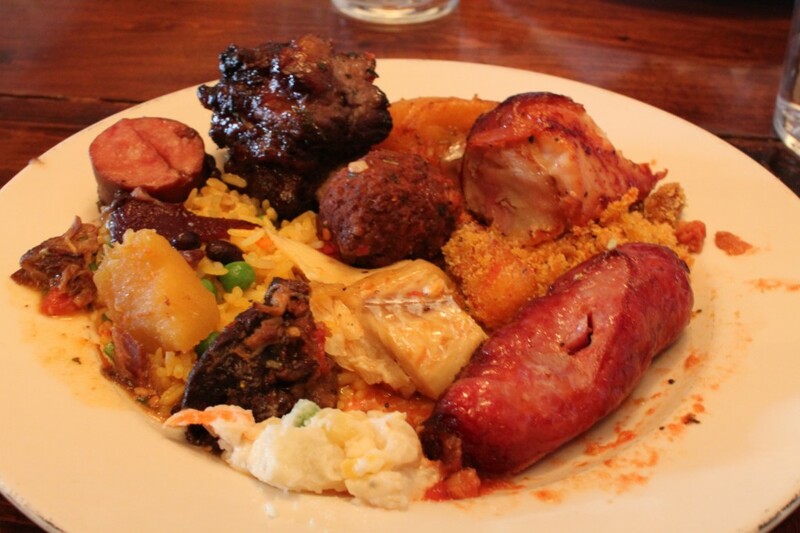 This entry was posted in Brazilian, Cambridge, Cheap Eats, Restaurants by BeantownBelly. Bookmark the permalink. Looks great! 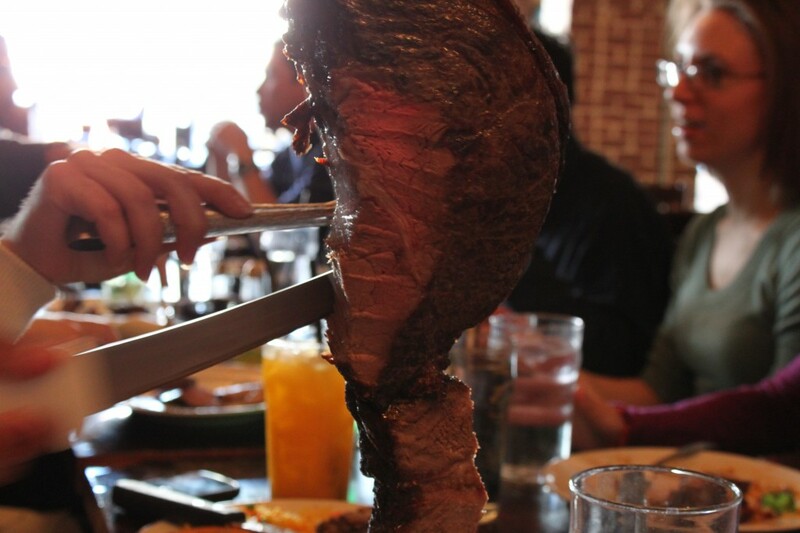 I love Brazilian Steakhouses. I love that this place has a buffet! Sounds delicious! Nancy please tell me you tried the fried platains! !